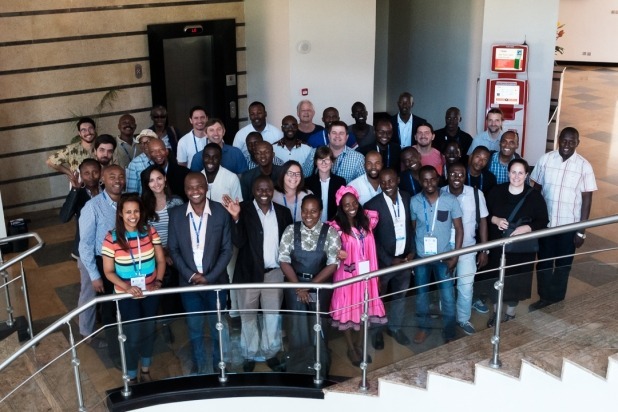 The 2nd Summit on Community Networks, which was held from 25 – 26 May in Nairobi, Kenya, alongside the Africa Internet Summit (AIS'17), aimed at building on the successful discussions that took place at the inaugural summit, held in November 2016. This 2nd summit was preceded by a 3-day technical workshop on wireless networking technologies from 22 - 24 May 2017. Community established networks also referred to as “Community Networks” (CN) have existed for many years and, provide a sustainable solution to address the connectivity gaps that exist in urban, remote, and rural areas around the world. In Africa, where these gaps are more evident, a recent survey was able to identify 37 community networks initiatives in 12 African countries, of which 25 are considered active. The objective of the summit was to promote the creation and growth of Community Networks, increase collaboration between community network operators in the region and to provide an opportunity for them to engage with other stakeholders. It is for this reason that the 2nd Summit was hosted during the Africa Internet Summit (AIS’17) event in Nairobi, Kenya. The synergies that exist between these communities can only lead to more innovation and collaboration! The 2nd Summit on Community Networks Agenda, videos and presentations are available here. ‘Supporting the Creation and Scalability of Affordable Access Solutions: Understanding Community Networks in Africa’ report can be found here. Community Network operators, Wireless Network researchers, Policy Makers, Regulators and Regulatory Associations, Civil Society organizations and members of the public interested in the topic. 1. Intro to Telecommunications: signals, amplitude, power, frequency, phase, noise, spectrum, bandwidth, signal to noise ratio. Modulation. Medium access techniques. Channel capacity. 2. Wave propagation: attenuation, absorption, reflection, refraction. 3. Antenna and transmission lines fundamentals: gain, loss, connector and adaptors types, dB, dBi, dBm, radiation pattern, beamwidth, vertical and horizontal polarization. Omnidirectional, directive and sectorial antennas. Antenna alignment techniques. 4. Wireless standards and protocols: WiFi networking architecture, access points and clients. LAN and WAN, Point to Point and Point to Multipoint, MAC and IP addresses. APs and clients: configuration, security. 5. Network planning. Software aids for radio networks planning: BotRf and spectrum analysis tools. Link budget calculation: free space loss, EIRP, receiver sensitivity, Fresnel zone, earth bulge, link margin. Site survey and outdoors installations. Long distance links requirements. Africa Network Operators Group (AfNOG).